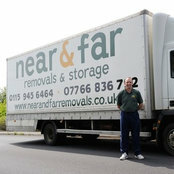 Near and Far Removals are specialists in all aspects of office and house removals in Nottingham. Established in 2003, we are a family run and experienced company. 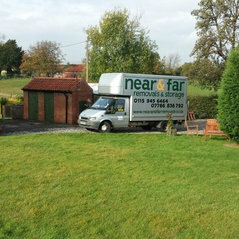 At Near & Far, we understand that moving house can be rather daunting. Our aim is to provide you with as much support and assistance as you require, ensuring the move to your new home runs as smoothly as possible. •House Removals •Office Removals •Packing Materials & Boxes To Buy •Fully Insured & Experienced Staff •Local & Long Distance Removals •Full & Partial Packing Service •Secure Storage Solutions •Piano Removals •Hourly Rates Available.